Ayuveda Pure Glow Facial For dry Skin 60 A unique Ayurvedic kit which relaxes the skin and enhances its spiritual beauty with amazing Ayurvedic ingredients for revealing your natural inner glow. Ayuveda Pure Glow Facial For Oily Skin 60 A unique Ayurvedic kit which helps remove toxins and balances the skin from the inside to reveal a natural inner glow. Christine Valmy Radiance Facial- Normal to Dry Skin 45 Ideal service for dull, damaged, overexposed skin. Helps rejuvenate and illuminate the skin. Leaves the skin looking healthier. Christine Valmy Radiance Facial- Oily & Combination Skin 45 This facial helps achieve a beaming, hydrated and even skin tone. Christine Valmy Signature Facial- Normal to Dry Skin 45 Amazing facial for dehydrated and tired skin. Restores and replenishes moisture with a hydrating mask and a rhythmical massage. Christine Valmy Signature Facial- Oily & Combination 45 No more stickiness! 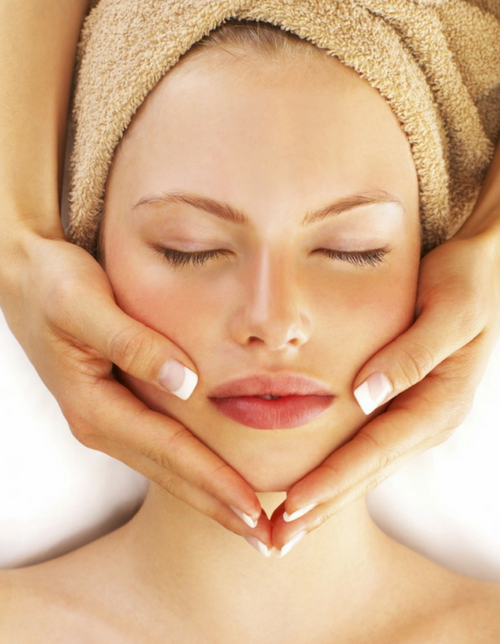 A balancing facial which controls your hyperactive oil glands, leaving your skin refreshed and healthy. Christine valmy Skin whitening Clean-up 30 Helps to get rid of occasional acne and leaves skin soft and smooth. Seaoul Organic Fruit Clean-up 30 SeaSoul’s Dead Sea Mineral Facial is great for all age groups & all skin types. It not only provides essential minerals to the skin but also treats several skin issues while providing a natural glow! Seasoul DeadSea Revitalised Skin Facial- Oily Skin 60 SeaSoul’s Dead Sea Mineral Facial is great for all age groups & all skin types. It not only provides essential minerals to the skin but also treats several skin issues while providing a natural glow!